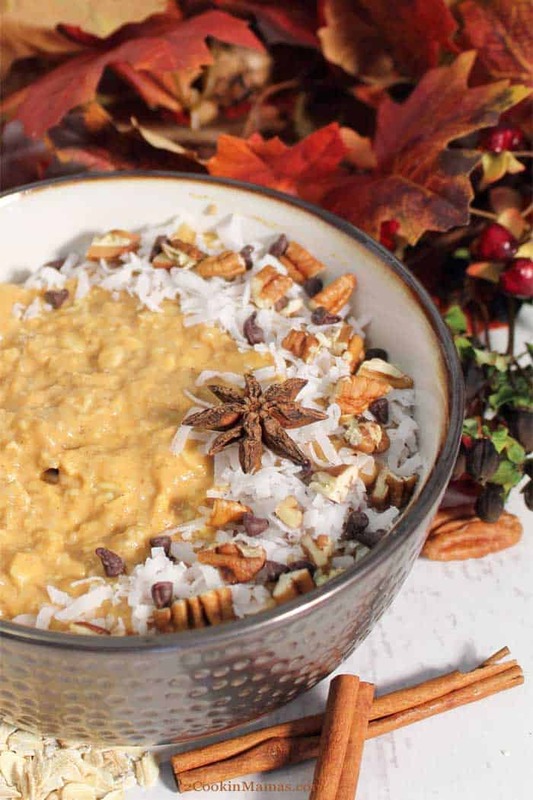 Hot, healthy oatmeal for breakfast during the week is not a dream! This Pumpkin Pie Overnight Oats is easy to prepare the night before then just heat and serve the next morning. Full of pumpkin pie flavor and spice and plenty of protein and fiber, it’s bound to get your day started on the right foot. I love to have hot cereal when the mornings are chilly, don’t you? As mama used to say, it warms you up from the inside out. 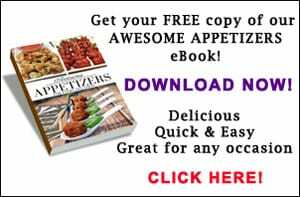 And, having one with all the flavor of the season ,that’s healthy for you too, is a win-win. 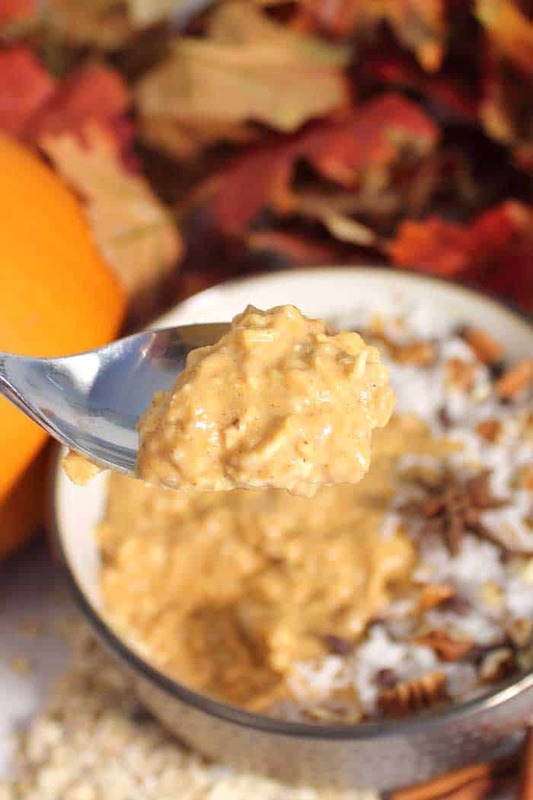 Pumpkin Pie Overnight Oats is like having dessert for breakfast! 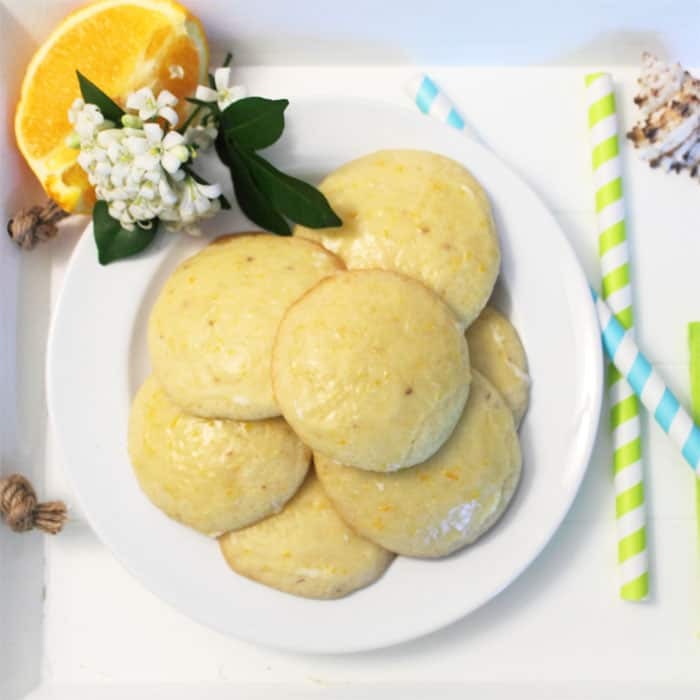 Yep, it’s another pumpkin recipe! It’s not like I don’t have plenty of pumpkin recipes I love, like Pumpkin Caramel Monkey Rolls, Pumpkin Doughnuts and Chocolate Chip Pumpkin Muffins but this one that will knock your socks off. Oh, wait! That might be a little too cold as winter sets in, so lets just say it’s awesome. 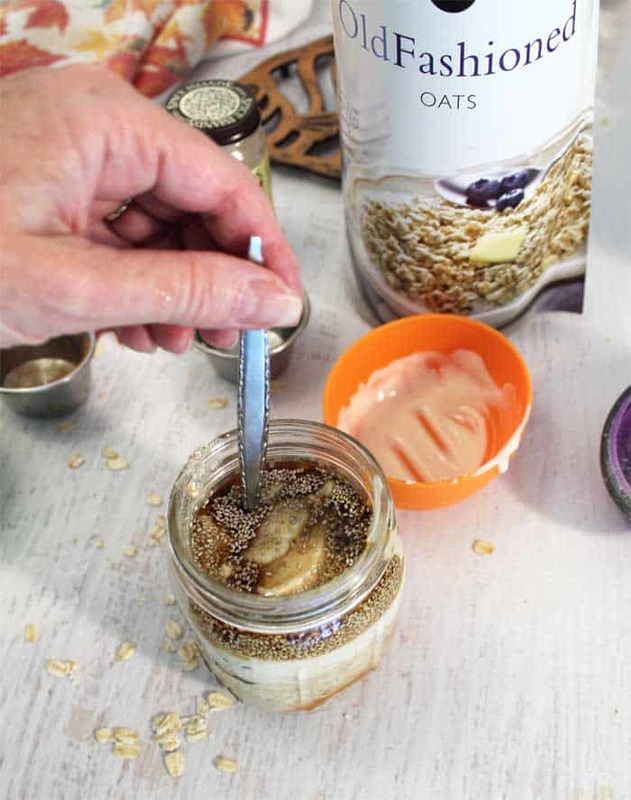 🙂 This is an easy overnight oats recipe that is a no-brainer to make. Easy to whip up and great to eat as is in the morning or make it in a mason jar and carry it with you as you run out the door. 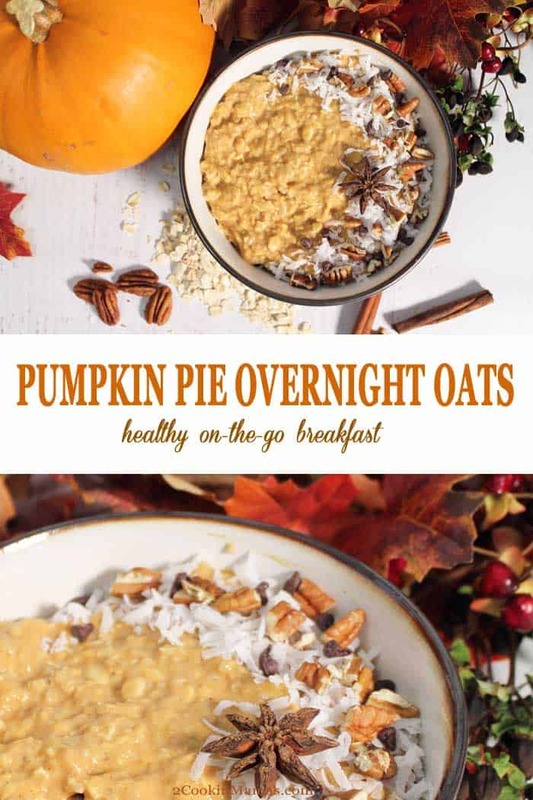 This Pumpkin Pie Overnight Oats recipe not only tastes like pumpkin pie but it’s healthy too! Just 7 simple ingredients, that you probably have in your kitchen right now, are added to a mason jar and sealed. Shake once, place in refrigerator, and it starts to create this dessert-like oatmeal that’s perfect for breakfast. 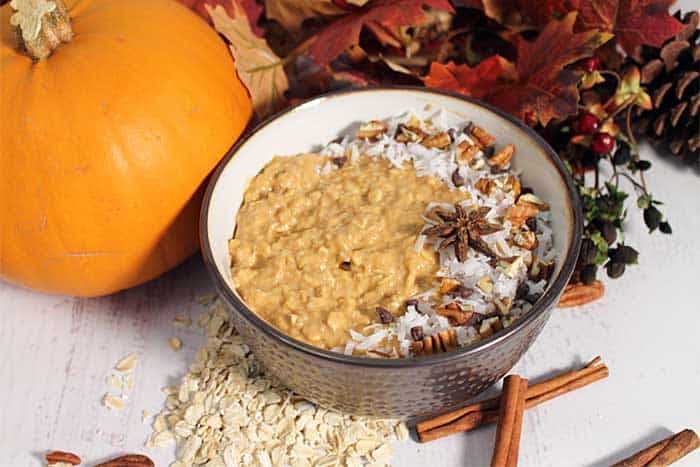 A few healthy ingredients make this Pumpkin Pie Overnight Oats a winner! 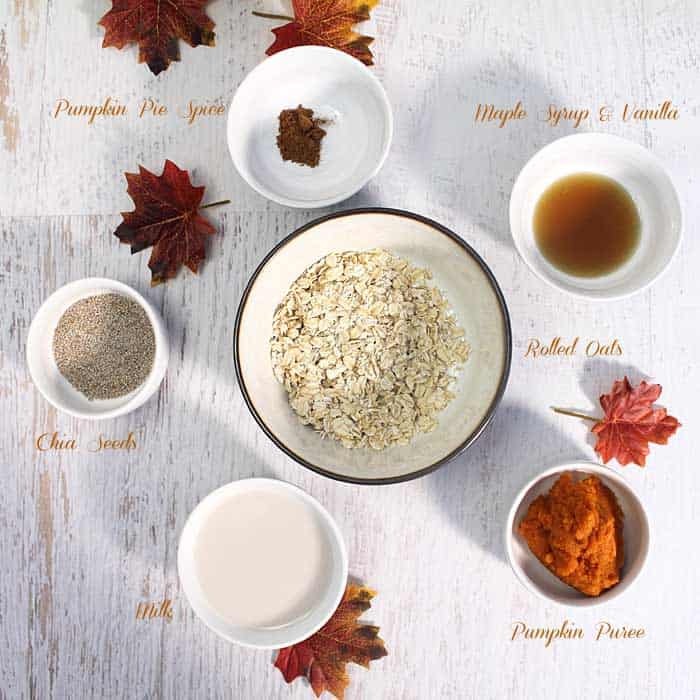 It starts with rolled oats, long known as a beneficial aid in lowering cholesterol and maintaining blood sugar levels, Greek yogurt, adding a dose of protein, pumpkin puree, which contributes Vitamins A & K as well as fiber, chia seeds, chock full of omega-3 fatty acids and milk for calcium. Pumpkin pie spice adds the flavor while a little pure maple syrup lends a touch of sweetness. 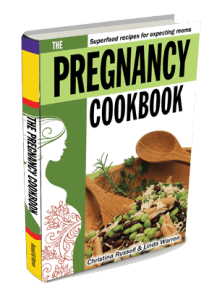 Stir it all up in a mason jar or a bowl, if you prefer. Place the lid on the jar , give it a good shake, and store in refrigerator at least 4 hours or overnight. In the morning, grab it on your way out the door and eat it hot or cold when you get where you’re going. Or, you can pour it into a bowl, heat in microwave about 2 minutes, then sprinkle on some coconut, pecans and chocolate chips and dig in. Can’t you just taste the yumminess! 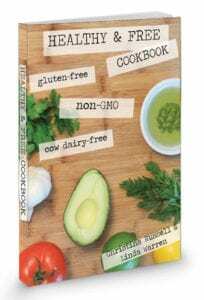 By the way, this can also be a gluten-free breakfast option if you use gluten-free oats and a dairy-free breakfast if you swap the Greek yogurt and milk for a soy, coconut or almond-based alternative. Enjoy & keep warm! 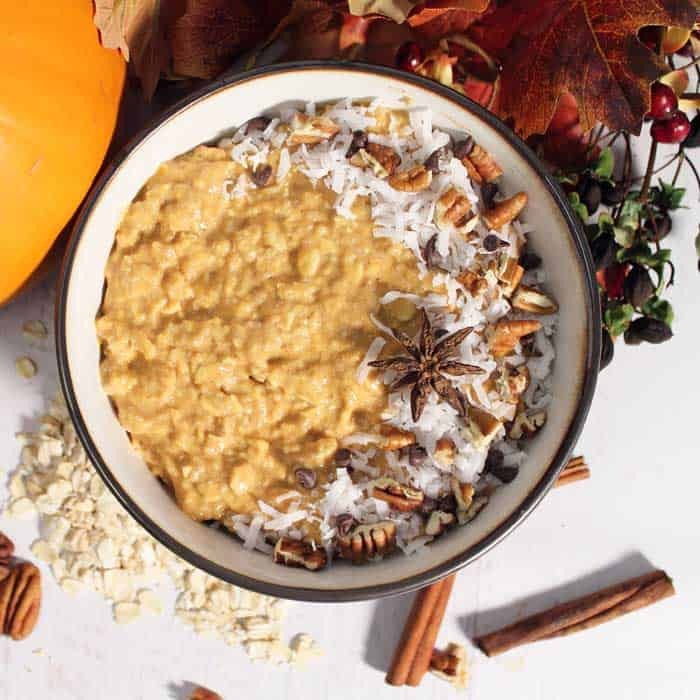 Pumpkin Pie Overnight Oats is an easy, healthy breakfast that tastes like your favorite pumpkin pie! A great grab-n-go for busy mornings. In a mason jar, combine first 7 ingredients. Stir well. 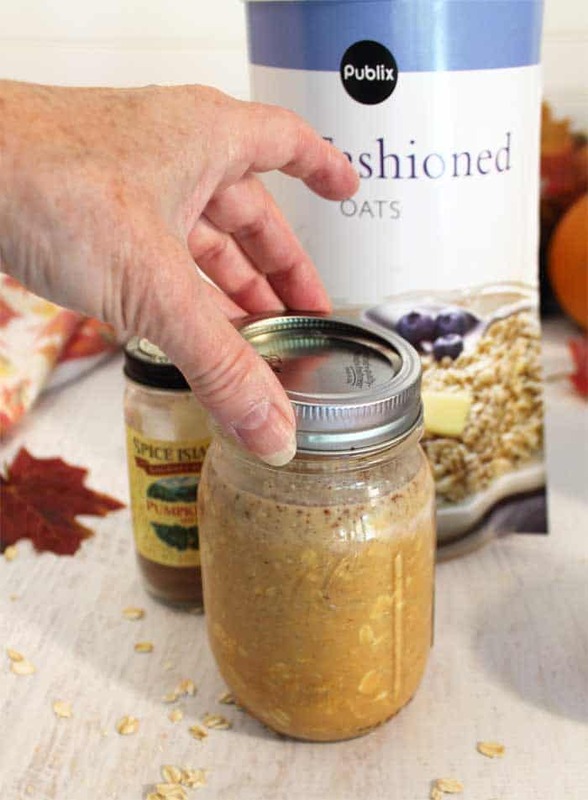 Add oats and chia seeds to mason jar. Place lid on jar and shake well. Place in refrigerator for 4 hours or overnight. 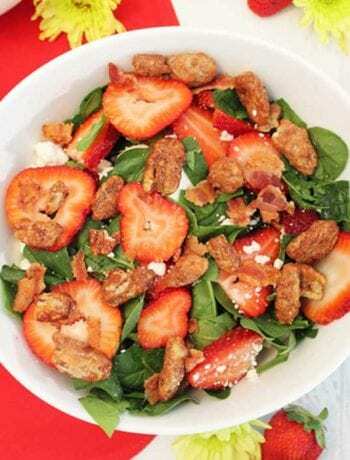 When ready to eat, you can garnish it in the jar and take with you or spoon into bowl, garnish, and enjoy. It can be eaten cold or warmed in microwave for 2 minutes, stirring halfway through. This post was first published on October 29, 2018. Recipe and photos have been updated. I love all the Fall flavours in this. 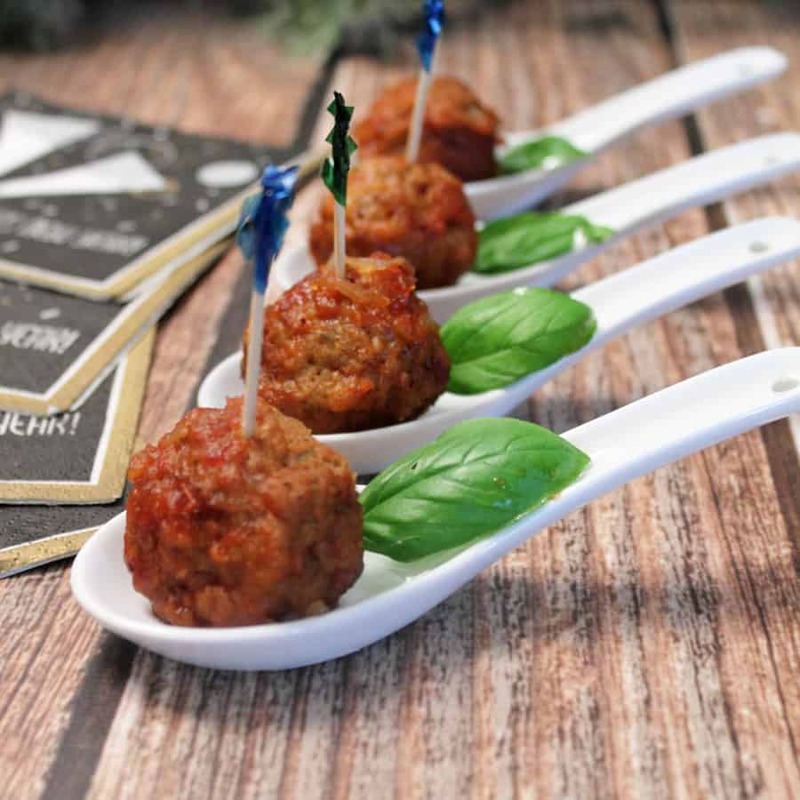 And such a great way to use up leftover pumpkin puree too! Thanks so much! 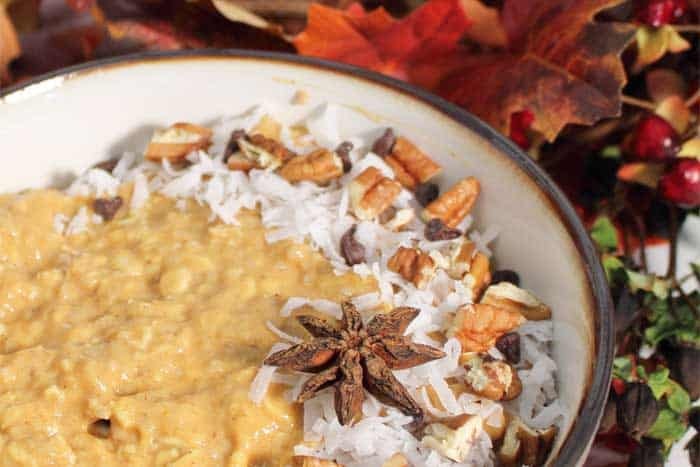 It’s like fall in a bowl for sure.